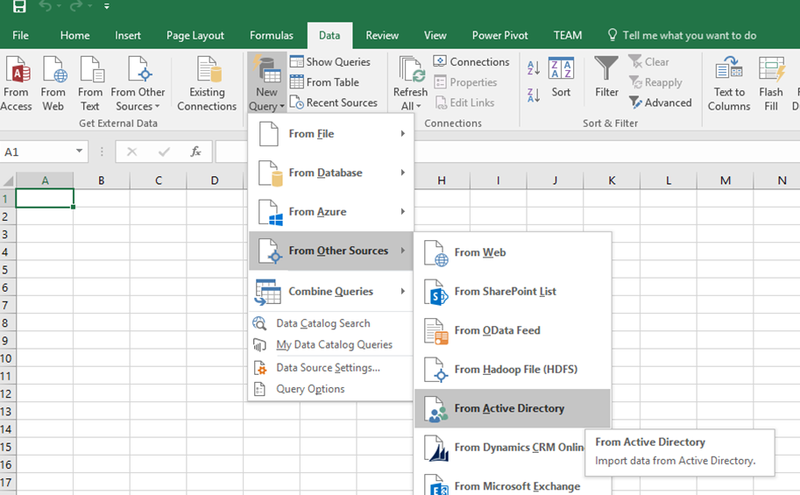 The Power Query Formula Language (informally known as “M”) is a powerful mashup query language optimized for building queries that mashup data. It is a functional, case sensitive language similar to F#, which can be used with Power Query in Excel and Power BI Desktop. A few days ago I got asked to produce a list of users (and their email address) in a number of AD Groups. 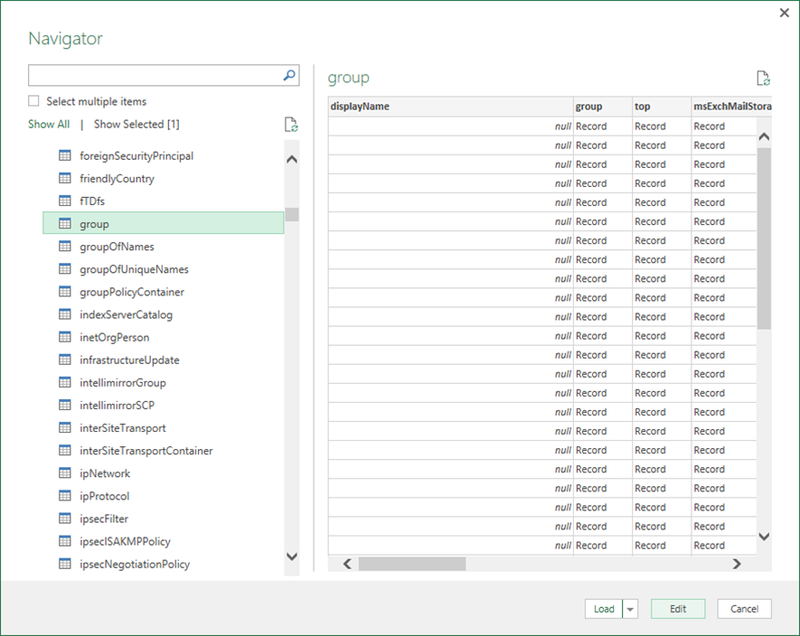 I already had a SSIS package that had a script task to pull this data from Active Directory and push it into a SQL database and we have a PowerShell script to get the same data in our code repo. After work I set about repeating it but using PowerQuery. this hopefully doesn’t need any explanation. You can of course filter on other columns if required, such as OU group. And the final M script looks like field like we did with securityPrincipal until we get to the individual user object. The last point is where I hit a few snags. Firstly, I couldn’t expand into the user object, luckily, clicking on Advanced Editor on the Home tab revealed the M code. I’ve included my code below which I hope will help.